Yesterday letterstomykids.org reached its second birthday. So it’s time for my annual state of the blog report. The good news is that my sophomore year, compared to my rookie season, has turned out to mean more of just about everything. LTMK drew about 81,000 unique visits this past year, compared with about 50,000 for the previous year – an increase of 62% — bringing the two-year total to 131,000. More visitors posted comments, too, 94 versus 22, more than quadrupling for a two-year total of 116. More visitors took our pledge, too, with 61 over the last year committing to preserve personal family history in writing, matching 61 in our first year. In Year Two, 23 guest columnists, almost all Moms and Dads, contributed letters to their kids, as against 22 in Year One, bringing the two-year total to 45 (50 if you count repeat performances). .
All in all, by most standards, a decent year. But for me, blogging in general – and LTMK in particular – is supposed to be about much more than mere metrics. (So is life, for that matter). Blogging is also about creating a dialogue with the public. For example, LTMK conducted its second survey, this time around Valentine’s Day. Among other questions, we asked 100 parents if they had ever told their kids how they met their spouses (results below). Blogging is about getting a conversation going with the media, too. “CBS This Morning” featured LTMK in a segment about parental New Year’s resolutions. Lisa Belkin, The Huffington Post’s parenting columnist, ran a story about my lineup of Thanksgiving columns from parents expressing gratitude for their kids. So did Janice D’Arcy, The Washington Post’s parenting columnist. So by no means does more – more unique visits, more whatever – always spell better. Metrics, shmetricks, I say. Even so, for some months now, I’ve contemplated ending my blog today. Tomorrow I’ll explain why I’ve entertained the idea, and let you in on what I’ve decided. 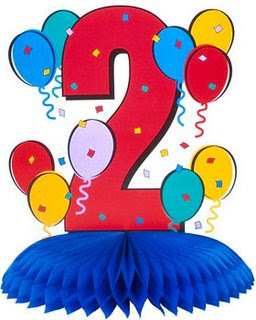 Next Post My Blog Turns Two, But Will It Ever Make Three?